We were delighted to return to the offices of Chamber member FM Conway for our April 1st Wednesday networking meeting where over 70 members and guests enjoyed the fabulous surroundings. 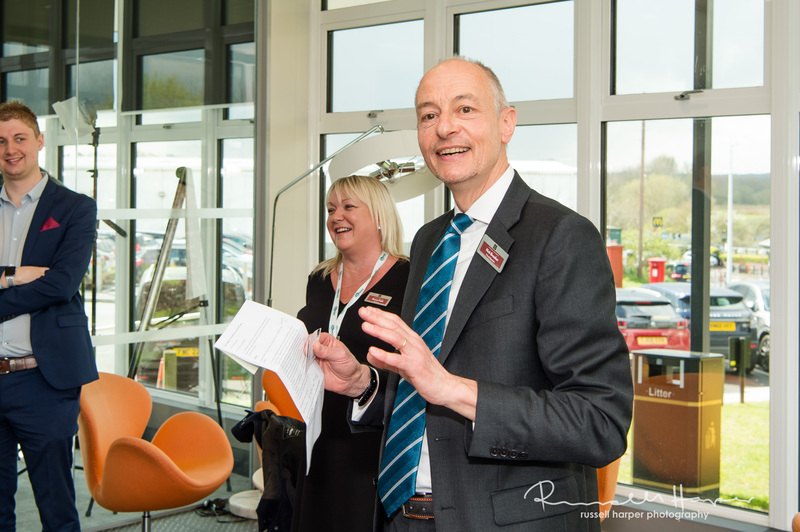 Sharon Field FM Conway’s Head of Corporate Responsibility talked to us about the FM Conway family and how they have integrated the organisation into the local Sevenoaks community. Since moving into the area three years ago they have developed long term relationships with 7 new local suppliers and have employed 32 people from the Sevenoaks area. Their continued commitment to the community is demonstrated by the new initiative with the Chamber of Commerce to organise a work experience week for local students, showcasing a range of business and career prospects available to students. FM Conway also have their own highly popular apprenticeship and work experience schemes in operation offering a wide range of opportunities form engineering, professional and support roles. They also have a strong equality and diversity programme in place and have offered fantastic opportunities to disabled individuals. If you would like to find out more about the work Sharon and the FM Conway team do in the community please get in touch with Sharon at sharon.field@fmconway.co.uk. Sharon has recently been appointed as Board Director to the Sevenoaks and District Chamber of Commerce and is a welcome addition to the Chamber of Commerce Team. John Levett from the Listening Room and part of the Sevenoaks Summer Festival organisational committee kindly offered 2 tickets to the Picante Latin Band concert as a prize for the charity business card draw which was won by Kate Barker from Thackray Williams. The winner of the bottle of prosecco was Rhiannon Whybra from Office Angels – congratulations both! Those present will be delighted to know that @Nick_Chairman now has 110 followers on Twitter!